Scottish novelist, essayist, and poet Robert Louis Stevenson contributed many beloved classics to the world of children's literature, including Treasure Island (1883), a swiftly paced story of a search for buried gold, portrays good, against evil; The Strange Case of Dr. Jekyll and Mr. Hyde; and Kidnapped. 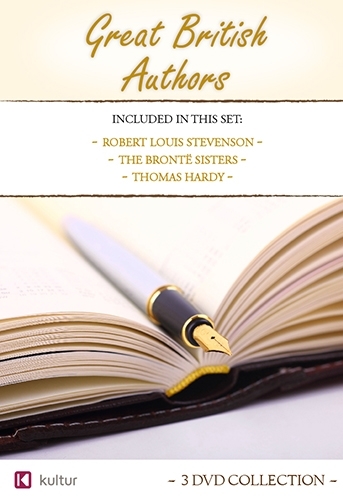 The English Brontë family, originally of Irish descent, produced three 19th century novelists: Charlotte, Emily and Anne. The three grew up in a torrid girls' school with living conditions that led to the death of two elder sister, and developed their literary talents on the Yorkshire moors. Charlotte is best known for Jane Eyre, which achieved spectacular success. Emily is generally considered the best writer of the three. Anne, the least heralded of the writers wrote Agnes Grey and The Tenant of Wilfred Hall. An English novelist and poet, Thomas Hardy explored the dynamics of human relationships. Sexual attraction between men and women was a theme common to several of his works including Tess of the d’Urbervilles and Jude the Obscure.